By Beth Bourgault, Caregiver, FirstLight Home Care of Salem, Mass. Being a family caregiver is both a rewarding and challenging role. Becoming a primary source of care – when you used to be a daughter, son, sister, brother, wife, husband, friend – can be overwhelming. And it can place a strain on your most valued relationships. And, almost as frequently, family caregivers share that they wish they knew how to be better at caregiving. I’m here to tell you, there’s good news. First, you’re likely a much better family caregiver than you even realize. The fact is, the relationship your loved one has with you has a significant impact on the quality of his or her life. Even on what may feel like your worst day, you’re making a difference. And second, there are strategies you can apply to your role as a caregiver that can help you become more confident and get better results. Following are some of the strategies I employ everyday in my role as a professional caregiver. I hope they help you on your caregiving journey in the New Year. Remember that everyone is an individual. Many family caregivers struggle to relate to the person they’re caring for. What you think would work for you won’t necessarily work for your loved one. Think about what’s important to your loved and what motivates him or her as an individual, and incorporate those things into your caregiving. Be flexible. Especially for older adults, their status and their behavior may be very different from day to day. If you expect consistency, you will likely become easily frustrated. Communicate what’s in it for them. I care for many people who just don’t want to let anyone clean their homes. Or they don’t want to eat. Or take a shower. Repeatedly telling them they have to do something isn’t likely to convince them. Instead, ask them to show you something or try something to help solve a problem. For example, if your loved one always insists his or her house is clean and resists letting you tidy up, start by asking if you can test out a vintage vacuum cleaner. Or shine up a favorite piece of silver. You may get somewhere. Relate tasks to activities your loved one enjoys. As a person ages, simple daily tasks may seem overwhelming. Or may become a source of fear. Try to relate the overwhelming or frightening task to something your loved one enjoys. For example, if your mother loves to go to the beauty salon but refuses to take a bath, talk her through it by relating the steps of the bath to the salon experience. Include your loved one in tasks. Another way to help a loved one feel less overwhelmed and afraid is by including them in tasks. For example, if your loved one resists leaving the house, consider going on a shopping trip where he or she helps look for items on the list – like a scavenger hunt. Involvement may be an effective way to distract your loved one from fear or anxiety. And the activity may even help with cognitive function. Do things in steps. Breaking tasks into multiple steps can be a good way to make them less overwhelming and easier to accomplish. Use desirable activities as motivation. There will always be things your loved one has to do, but doesn’t want to do. Think about doing those things first, before the things they or like to do. This provides something to look forward to and may help get your loved one motivated. Listen to the stories. No matter how many times you’ve heard them, listen as if it were the first time. The listening creates trust. And really hearing what your loved one is telling you can help you better understand what’s meaningful for them. Don’t take it personally. 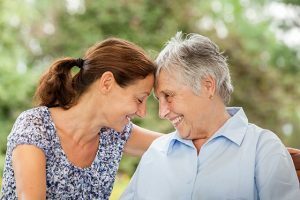 One of the most difficult things for many family caregivers is dealing with the emotions they feel about their loved ones’ condition or behavior. It’s not unusual for age or sickness to cause dramatic shifts in memory, behavior and even mood. Try to remember that, in most cases, it really isn’t about you. Ask for help and take breaks. Being a caregiver is emotionally and physically demanding. To have the stamina to do it every day, you have to find a way to also take care of yourself. Seek professional advice. Join a support group. Take the time to do something you love that’s just for you. Being a family caregiver can be beautiful, lonely, rewarding, grueling experience. Know that you are making a profound difference in your loved one’s life. That there are resources out there to help you. And that you’re not alone. Part of your support network. One of the most important things a family caregiver can build is a network of support. Whether it’s help providing non-medical care for your loved one or Respite Care while you take a much-needed break, FirstLight is here for you. Find a location near you today. And follow us on Facebook for more tips and tools. After nearly 40 years in the corporate world, Beth Bourgault had a turning point. It came after the bombing at the Boston Marathon, where she was a spectator at the finish line, mere feet from the explosions. Beth was injured and required months of care and therapy. When she emerged, she knew she couldn’t go back to her former career. So many people had taken care of her during her recovery journey, she was inspired to become a caregiver herself. 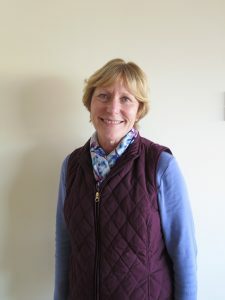 She joined FirstLight Home Care in Salem, Mass. And in 2016, she was recognized as our national Caregiver of the Year.